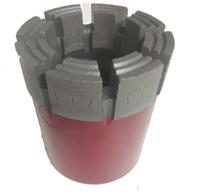 W-series casings are madeas per DCDMA standards, the most popular sizes are AW, BW, NW, HW and PW, which are widely applied in geotechnial drilling. 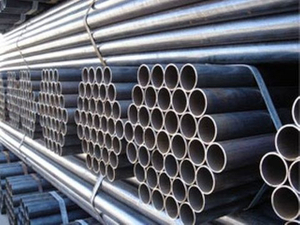 We choose the best steel tubes in the market to manufacture our rods and pipes. Instant check will be conducted after the raw material is received in our factory so that it can make sure the compositions and specifications meeting applicable stardard requirements. 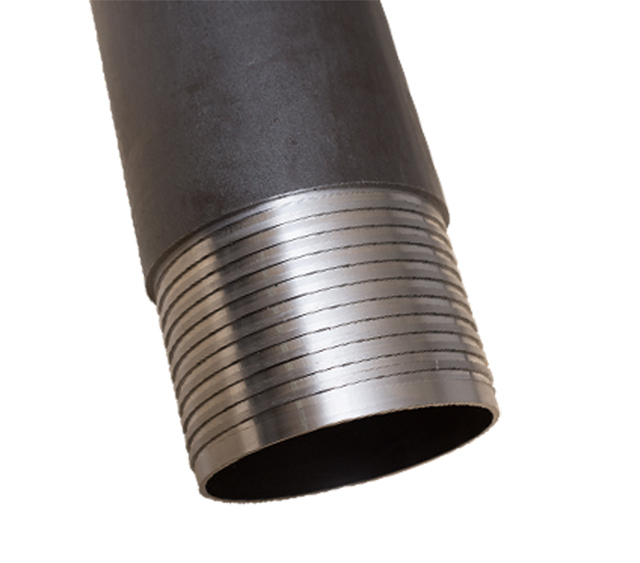 Heat treatment will greatly make sure the material strength and the thread wear life of the rods and casings. 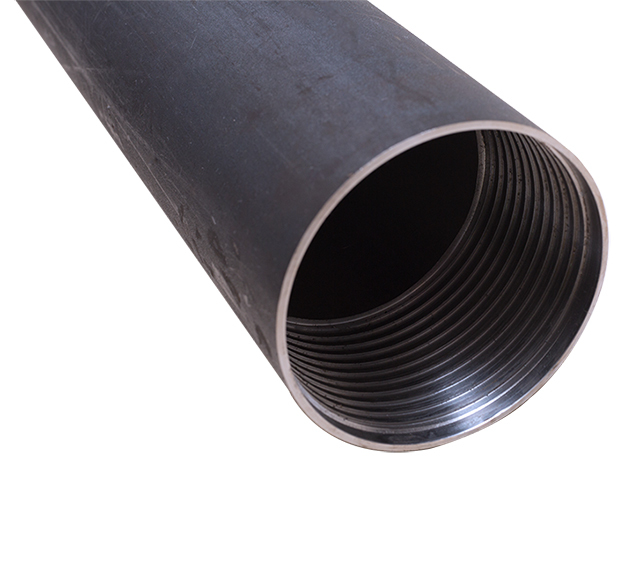 We conduct either tru-wall or both ends heat treatment to the tube body. 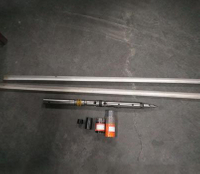 Precision of threads will impact the use effects and serve time of drill rod and casings. CNC latches and form cutter are used in thread opening process to minimize error. Surface of the threads will be cleaned to remove burr adhered after threads are opened. At last , the tread surface will be phosphated to improve surface conditions. a. 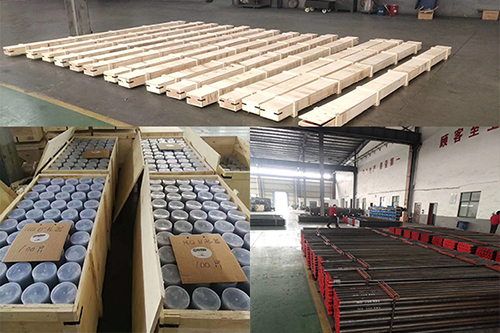 Extensive Production Experience: we are specialized in diamond core bits, drill bits, wireline drilling tools, drill pipes, casings, mud pumps, underground drilling rigs with an experience of 10 years. b. Complete Production Facilities: owning precision CNC machine, milling machine, sintering machine, manipultator and other advanced equipments. Our technicians will do regular scheduled maintenance on these machines to guarantee them work well. 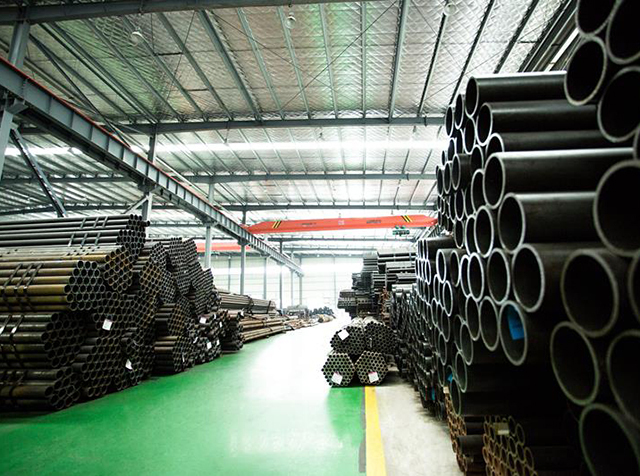 c. High Quality Raw Materials: we mainly choose raw material from big steel factory, such as TPCO, BAO STEEL, SHA STEEL, which are best and largest raw material manufacturer in China. e. Short Delivery Time: 15-20 days for one (1) container. 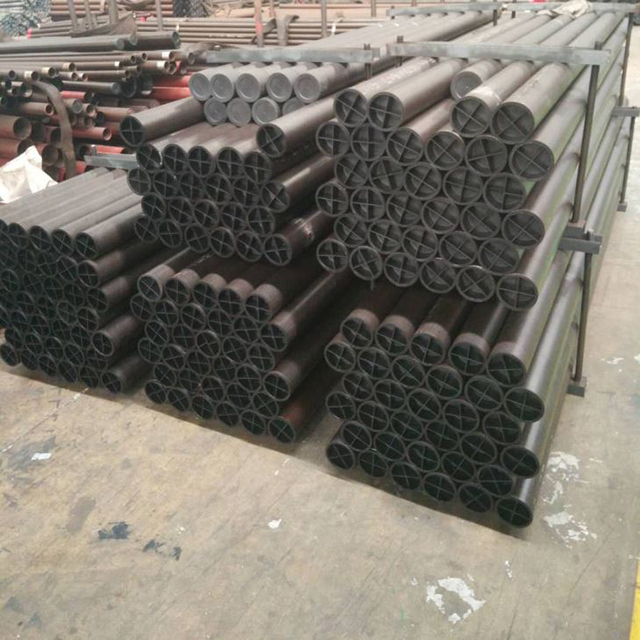 We also stock some standard-sized tubes and rods, if you need 3-5 pcs, we can delivery soon. g. Best After-Sale Services: Over 60% products are sold to the Southeast Asia, Middle East and Europe, and all products are trusted by domestic and foreign customers. 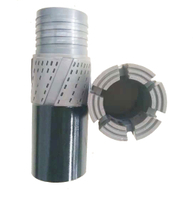 We specialized in producing of varies diamond drilling tools, such as impregnated/surface-set diamond core bits, diamond casing shoes, diamond rod shoes, reaming shells, TC core bits/casing shoes/TC rod shoes, PDC bits, Thin Wall Bits, core lifters, core lifter cases, core barrels, and kinds of drilling rigs etc. With ISO certificate & quality control. wooden cases, cardboard boxes and steel frames etc. as you required. And all goods will be protected by plastic films, thread protection caps, anti-rust oils, bubble films and so on to make sure no damage will be caused during shipping. Special passage for container loading is available at the gate of our company to improve the efficiency. A: We are a manufacturer, and we have builded up our company since 2008. A: Our factory is near shanghai Airport; we can pick you up in the airport. A: It's always my pleasure; hotel booking service is available. A: Our minimum quantity is 1 PC. We can send small value free samples. However, nost samples are charged. 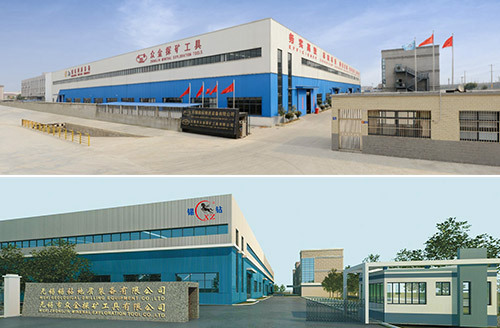 Warmly welcome you to come visit our company. 6. Is your price competitive? A: Only good quality product we supply. Surely we will give you best factory price based on superior product and service. 7. Can the products be customized as our need, such as put on our logo? A: Surely our products can be customized as your need. Put on your logo is also available. 8. May I know which payment will be accepted by your company? A: So far 100%T/T before shipment. And 30% deposit paid by T/T, balance paid by L/C are acceptable. 9. How can I get the after-service? A: We will send you the spare parts by free if the problems caused by us. If it is the men-made problems, we also send the spare parts; however it is charged. Any problem, you can call us directly. Please feel free to send us your detailed requirements. You would be satisfied with our services. 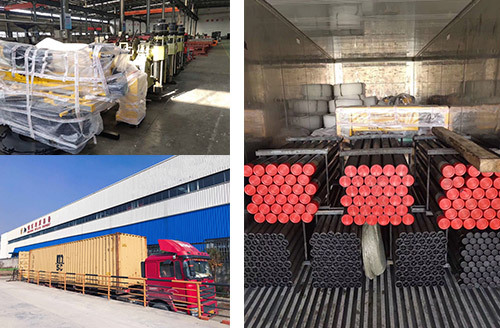 If you're looking for aw/bw/nw/hw/pw dcdma r780 standard casing tube,drill pipe for geology exploration, welcome to consult the quotation with our factory. 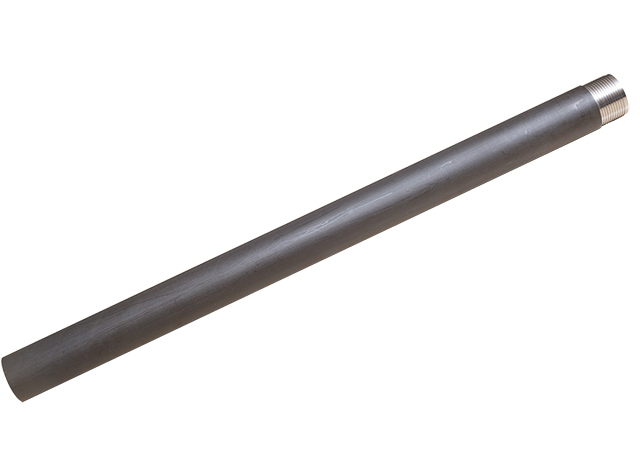 We're one of the leading Drill Rod And Casing manufacturers and suppliers in China, offering low price and excellent service. For customized products, contact us to inform us of details now.